Bobbi Brown worked as a Manhattan makeup artists before founding her eponymous cosmetics line in 1991. Her line of lipsticks sold out on the day it was introduced to the upmarket New York department store Bergdorf Goodman, and her company is today worth nearly a billion dollars. French makeup artist Laura Mercier started her career at the Carita Institute, a renowned beauty school in Paris. She became Madonna's personal makeup artist in the 1980s, after working with her on a Vogue cover shoot, and in 1996 she co-founded Laura Mercier Cosmetics with former Neiman Marcus executive Janet Gurwitch. Today, the brand's tinted moisturizer has reached legendary status with women across the world. 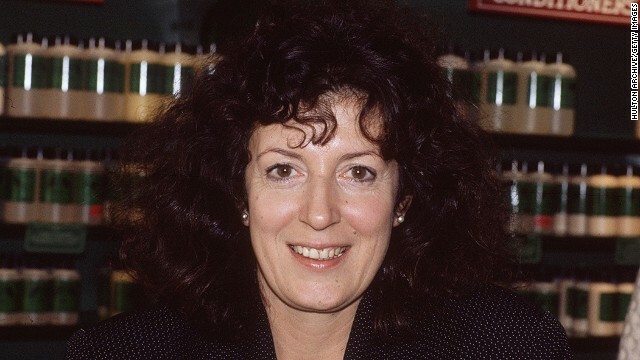 Anita Roddick started The Body Shop in 1976 as a way of supporting her young family. She started selling naturally-scented soaps and lotions,and the business grew rapidly expanding to become one of the most recognizable brands in the world. 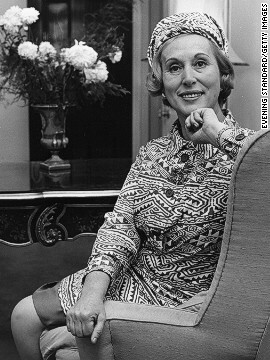 Estee Lauder was born Josephine Esther Mentzer in Queens, New York, in 1906. After graduating from high school, she started working with her uncle, a chemist, producing face creams and other beauty products, and in 1946, founded what was to become one of the renowned cosmetic empires in the world. Canadian-American beauty entrepreneur Elizabeth Arden pioneered scientific formulation of cosmetics and opened the first destination beauty spa in the United States. With a $6,000 loan from her brother, she opened a store in New York's Fifth Avenue, and soon expanded her business internationally. 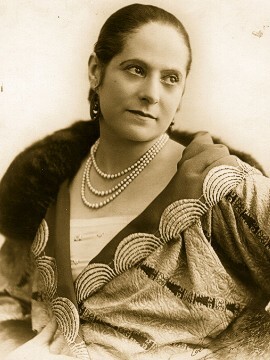 Polish-born American entrepreneur Helena Rubinstein founded a namesake cosmetics company which made her one of the richest women in the world. Through her savvy marketing, she patented the concept of daily skincare to women across the world, who rushed to buy her pots of face and eye creams. 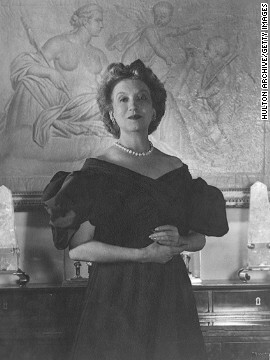 Rubinstein famously said: "There are no ugly women, only lazy ones." 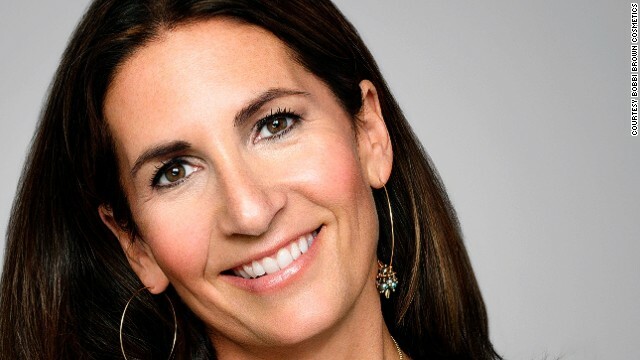 (CNN) -- When Bobbi Brown introduced her eponymous lipstick line to Bergdorf Goodman back in 1991, she never expected all 10 pinky-brown shades to fly off the shelves in just one day. 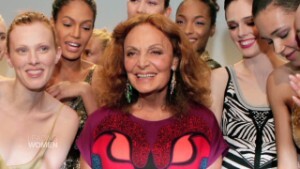 DVF: "Fear is not an option"
Since then, the trailblazing makeup mogul has built a billion-dollar empire by making women look and feel beautiful in a natural way. Her cosmetics adorn the faces of VIPs such as Michelle Obama and Katie Holmes, as well as the Duchess of Cambridge, who wore the brand on her wedding day. With stores in 68 countries today, the company has grown from a mail-order business in the early 90s to a staple in women's makeup bags from London to Beijing. "When I started the company, my mission was to make a lipstick that looked like lips, because most of the lipsticks on the market looked artificial, they were greasy and they smelled bad," Brown told CNN's Poppy Harlow. "I wanted to create something that looked natural, and that worked with a woman's skin tone and her lip color," she adds. Brown's love affair with makeup started as she watched her mother's beauty rituals in their suburban Chicago home. But her true entrepreneurial streak came from her Russian immigrant grandfather, who worked his way up to become a successful car dealer: "I grew up watching Papa Sam in his dealership and I learned so much. He was an amazing role model," she says. School was never the focus of Brown's attention, and when she wanted to drop out of the University of Arizona after her first year, her mother asked her a question that would determine the course of her life: "If you could spend the day doing whatever you wanted, what would you do?" "Go to the mall and play with makeup," came the answer. After earning a degree in theatrical makeup at Emerson College in Boston, Brown moved to New York City, showing her portfolio to anyone and everyone. Living the life of a fledgling makeup artist, her talent and perseverance paid off. Soon she was working on high-profile magazine shoots, eventually landing a Vogue cover with Naomi Campbell -- her first big break. "I'll never forget it," recalls Brown. "It was Naomi Campbell's first cover and the photographer was Patrick Demarchelier. It was shot on the beach early in the morning, and you never know if it's a cover or not, but when I heard it was, I was beyond (excited)," she says. While her makeup artist career was burgeoning, Brown was frustrated by the lack of wearable, natural looking shades amid the fuchsia lipsticks and electric blue eye shadows which dominated the 1980s: "Everything was artificial and fake. It just did not look right to me," she says. When I started the company, my mission was to make a lipstick that looked like lips. A chance meeting with a Kiehl's pharmacist during a fashion shoot led to the creation of her first lipstick, Brown Lip Color, in her signature chocolate-based tones. Four years later, the company she started with just $10,000 was beating cosmetics giant Estee Lauder in major department stores. Brown soon got a call from Leonard Lauder, the scion of the makeup empire started by his mother Estee, offering to buy her company. She accepted, under the condition that she retained all creative control, and today it is estimated that Bobbi Brown products account for about 10% of all Estee Lauder sales. "You know, I think that women will always need their basics," Brown says, explaining how her business managed to weather the financial downturn of recent years. "They will always need their tried and tested things, they are not going to forgo makeup. Maybe they'll forgo the trendy things that come out every season, they don't need it. But most women still need what they need," she adds. 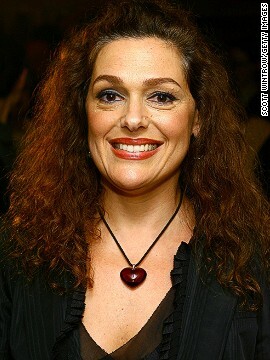 When it comes to her role in an industry which has been heavily criticized for making women feel self-conscious, Brown says: "Everyone I know in the beauty industry, not just the people that work in my company, is really there to make products that make women look and feel better, they devote their lives to it. I think the biggest problem is that the Internet now shows everything. So if you are going to be an actress or a supermodel, you are unusually photogenic, you are unusually thin, that is not what all women are," she says. Brown still beautifies the faces of models in all her advertising campaigns, but her business interests are not limited to cosmetics. She has partnered with Safilo, a leading Italian eyewear brand, to design a range of glasses, and has recently been appointed as Editor-in-Chief of Yahoo's new beauty section. "I'm trying to create a space that is empowering, that's teaching, that's fun, with a sense of humor, that's visually exciting and cool," she says, "but mostly, a place that will give women real answers to not just beauty but lifestyle and empowerment, and everything it means to be a successful, happy woman. And I hope a man, too, I have things planned for men as well," Brown adds. Bobbi Brown works her magic backstage at the Rachel Roy show during New York Fashion Week. The entrepreneur has also channeled her energy into philanthropy, starting the Pretty Powerful Campaign for Women and Girls, where 100% of the purchase price of a limited edition product goes to programs helping disadvantaged women and girls around the world. The company also sponsors Dress for Success, a global charity which offers unemployed women career advice and professional attire for job interviews. Brown's youthful face and eyes exude humor, and she fosters a homey atmosphere in her headquarters in New York's trendy SoHo. Large windows flood the pastel-colored space with sunlight, and there are regular yoga sessions. I enjoy things that are not about my work. And whether it's family vacations or trips, I'm able to let go. "There are dogs and kids that come in, and I love having this atmosphere, it's who I am," she says. The make-up mogul jokingly describes herself as a Type A personality -- hardworking and efficient, yet able to unplug from the daily grind: "I enjoy things that are not about my work, I enjoy my husband, my kids and nephews, my 'entourage,' as I call them. And whether it's family vacations or trips, I'm able to let go," she says. However, the 57-year-old is not ready to hang up her brushes any time soon. "I'm bad at golf and even worse at tennis," she quips, adding that she doesn't feel she has reached her pinnacle yet. "So many things happened in my career which were important moments, from my first Vogue cover to getting into Bergdorf Goodman and Harrods, and finally when Leonard Lauder called, but then things just continued to happen. "So, I haven't made it yet," she concludes.